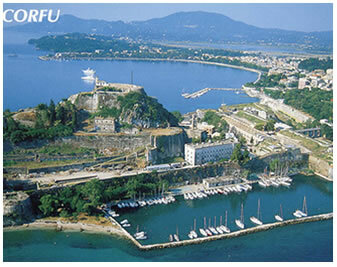 View Larger Map Since ancient times Corfu is starring in the history of Greece. Due to its important geographical location (situated at the northern edge of the Ionian Sea) as well as its natural heritage, Corfu Island has always been targeted by powerful forces concerned such as Venetians, French and English. Each conqueror left its traces on the character of the island. Corfu Town looks very different from most Greek towns, because of Corfu's unique history. The long coexistence of Corfiots with their conquerors contributed to the particular culture that distinguishes them.